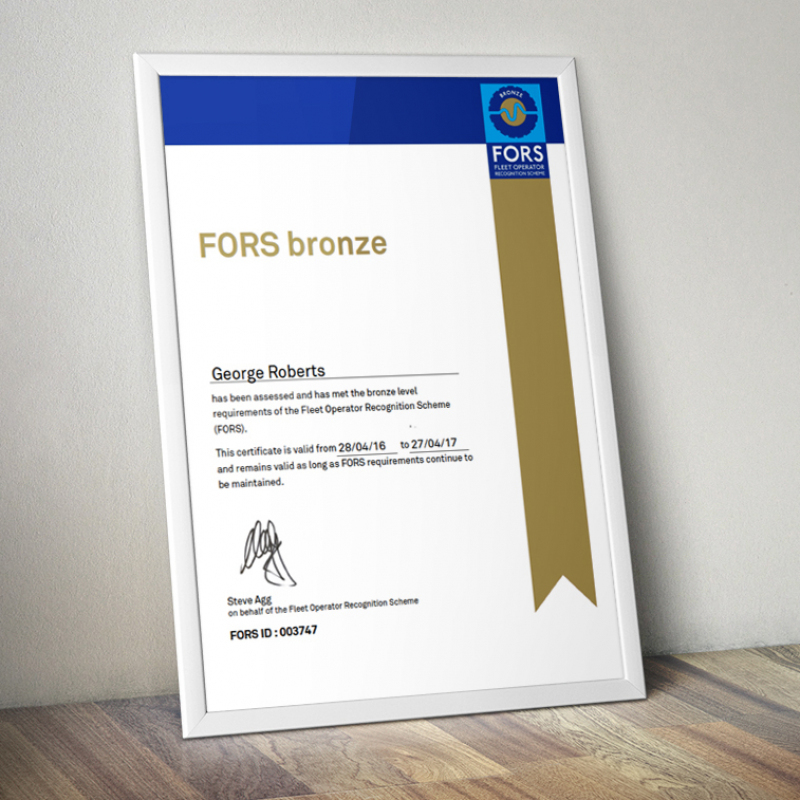 In April, we successfully retained our FORS Bronze Accreditation (see here). 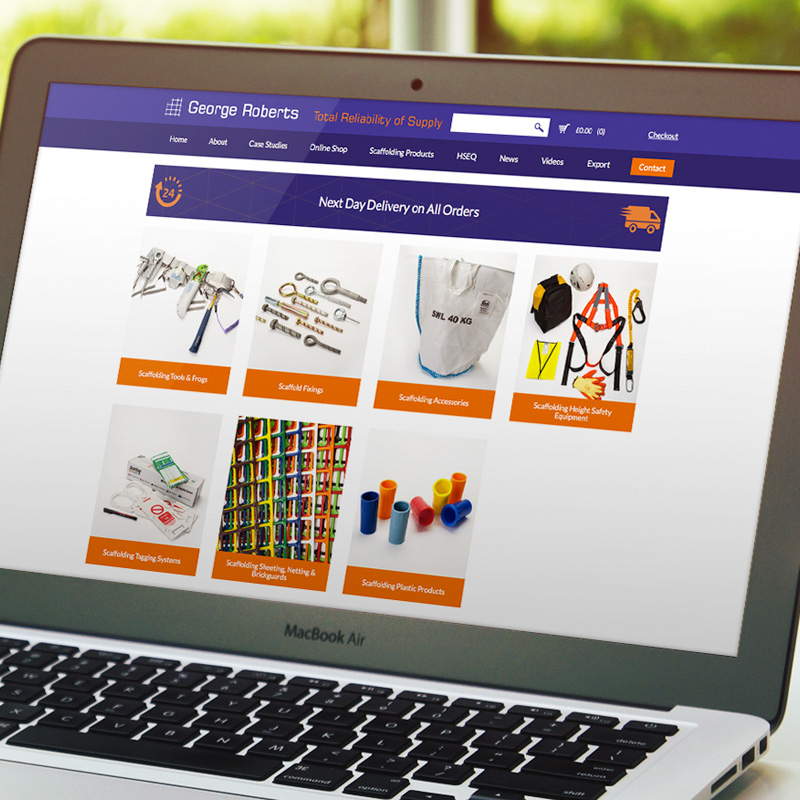 As part of our “Total Reliability of Supply” ethos here at George Roberts, we are always striving to improve our service and operating procedures. Silver accreditation is awarded to operators who maintain their Bronze accreditation and are able to demonstrate that they have developed driver licencing verification systems, their vehicles over 3.5 tonnes are equipped with a left turn audible warning system and their vehicles are fitted with blind spot minimsation devices. Bronze accreditation must be valid for at least 15 more days validity at the time of submitting evidence for Silver accreditation. 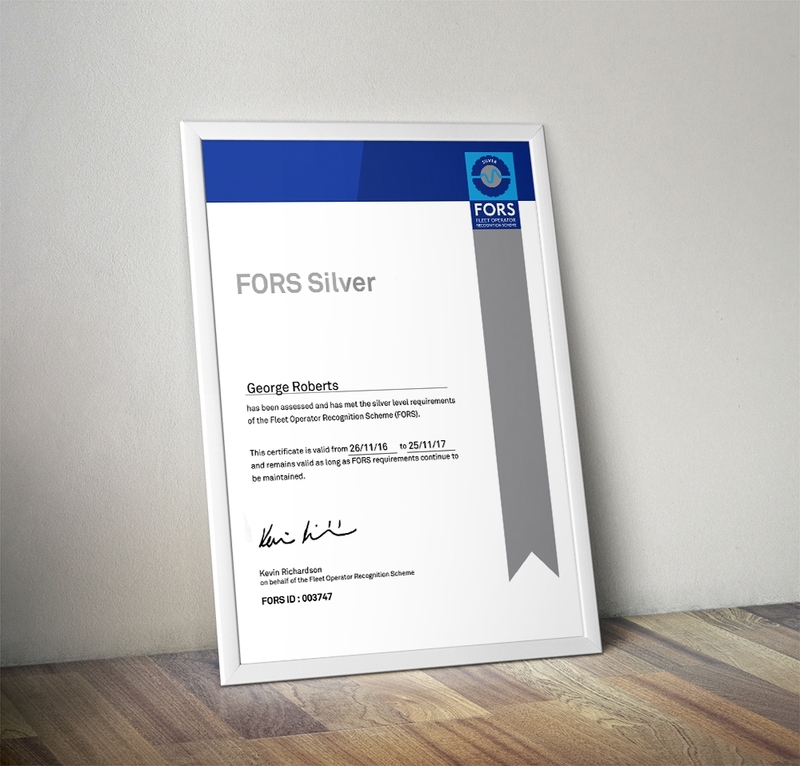 Thanks to the team here, led by our HSEQ Manager Mr Mark Frost, we are pleased to announce we have been awarded FORS Silver accreditation.